Our fine top-quality, classic-designed hotel blends regional Ohio themes and ambiance with the warmth and coziness that only a small-town can provide. Fine amenities, a unique decor, and a large stone fireplace beckon you! King rooms, Double Queen rooms, and Deluxe Jacuzzi King Suites are available for your enjoyment. Take a relaxing break in our soothing glove leather sofa and let your imagination whisk you away to a faraway place as you are captivated by the art of Thomas Kinkade (tm). Play a game of "Civil War" chess and lead Robert E. Lee or U.S. Grant to victory! After a comfortable night's rest, you'll enjoy our Deluxe Continental Breakfast while soft, reflective intrumental music surrounds you. Adjacent to Hearthstone Inn & Suites is a spacious public playground, a softball/baseball diamond, jogging track, tennis courts, and an outdoor picnic pavillion. And if you'd just like to relax, have a seat on our wrap-around porch or ride your bicycle (you can even rent one here!) or take a refreshing jog on our nationally-recognized, wooded country bike trail that runs alongside our hotel property. Visit our numerous (and easy-to-get-to) area attractions such as the historic Clifton Mill (the country's oldest running grist mist), and Young's Jersey Dairy. If you enjoy hiking, embark on an afternoon trek through nearby Indian Mound Reserve Park, see Massie Falls, and discover an early settler's cabin from 1825! You may even catch a special program at the historic Cedarville Opera House (built in 1888), a mere one-minute stroll down Main Street. 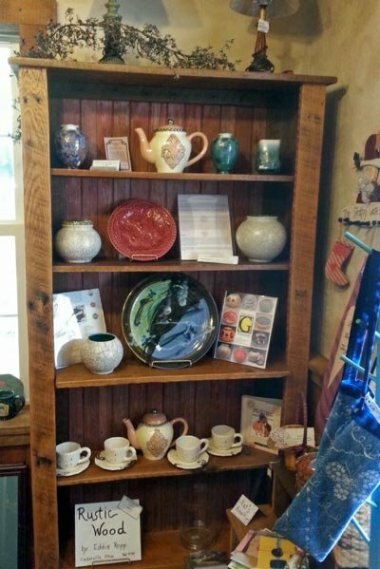 Stop by one of our village shops for a cappuccino, ice cream, pizza, bakery items, or coffee and dessert on the way back to your comfortable room! For guests visiting Dayton, Ohio, you can reach downtown within 35 minutes! Visiting area colleges? You'll find Cedarville University, Wilberforce University, Central State University, Antioch College, and Wittenberg University just a few minutes away! Our unique location on the Little Miami Bike Trail/Ohio-to-Erie Bike Trail provides bicyclists and in-line skaters with an outstanding opportunity to enjoy a full-day of travels capped off by a relaxing evening in quiet Cedarville. Families, couples, and groups will especially appreciate this! Miles of invigorating, scenic trails are available for you to explore and enjoy! Browse through our "Ohio in the War" Civil War lobby display which honors Whitelaw Reid (1837-1912), Cedarville's own 19th century Civil War correspondent, journalist, U.S. ambassador to England, and later Editor of the New York Tribune succeeding Horace Greeley. Our second floor overlooks the fireplace lobby area and houses additional displays of the Civil War, Greene county, and Cedarville. Decor and ambiance throughout our hotel showcase our regional history, people, area attractions, and historic Ohio events. Don't forget to visit the official Cedarville village website for information on our region's extensive area tourist attractions. We've alot to offer you here in beautiful southwestern Ohio. Your stay at Hearthstone Inn & Suites hotel will create pleasant memories which will bring you back to our quiet village again and again...along with your friends and relatives! 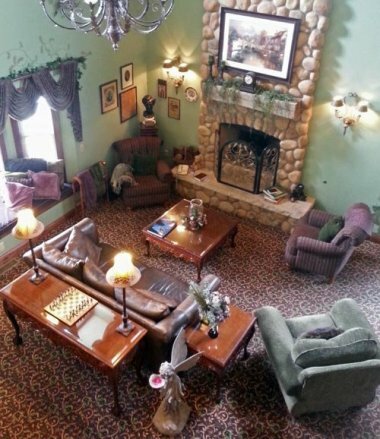 Whether you're on a family adventure through historic Greene county Ohio - or you just want a relaxing weekend getaway for two, Hearthstone Inn & Suites country inn hotel is here to serve you. Come home to history. Come home to real hospitality. Come home to Hearthstone Inn & Suites. Hearthstone Inn & Suites offers a completely smoke-free hotel environment for your health and comfort.